A resort fee is included in your package price and covers the following and more: Use of Spa Fitness Center, 800# calls, local calls, in room and public area wi-fi, beach chairs, towels, and umbrellas, tennis and in room coffee/tea. Dorado Beach, a Ritz-Carlton Reserve is the second Reserve in an exclusive portfolio worldwide, joining Phulay Bay in Thailand. Situated on three miles of Caribbean coastline with 1,400 acres of natural beauty, privacy and luxury on the former Laurance Rockefeller estate, Dorado Beach, a Ritz-Carlton Reserve includes 100 spacious and luxurious guestrooms and 14 one-bedroom suites, all directly on the beach, plus Su Casa, the 1920s plantation hacienda renovated back to its original style to serve as a four-bedroom beachfront villa. 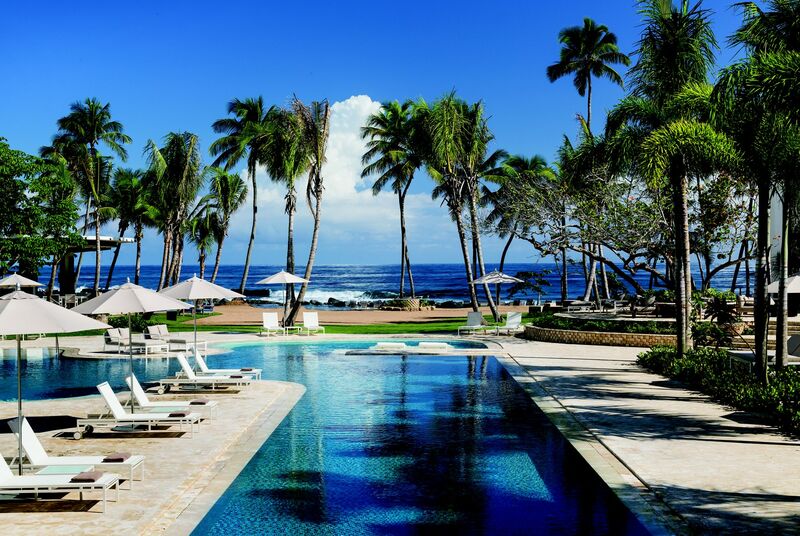 Dorado Beach, a Ritz-Carlton Reserve also features a five-acre botanical spa; a restaurant by chef José Andrés; and Ambassadors of the Environment by Jean-Michel Cousteau. The resort’s reimagined Signature Restaurant featuring “our interpretation” of a Grill concept. Coa is from the language of Puerto Rico’s indigenous Caribbean people, the Taino. Coa speaks to the local ingredients that make their way into our kitchen and onto the plates in our restaurant – farm to table in the most traditional sense. Offering guests a unique open-air experience with a modern vibe, with freshly grilled fare for lunch and dinner right on Dorado Beach. 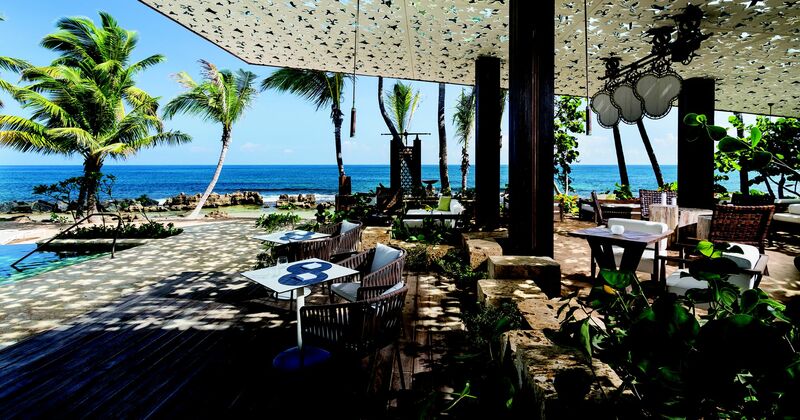 The Positivo Sand Bar offers a trendy, but elegant atmosphere. 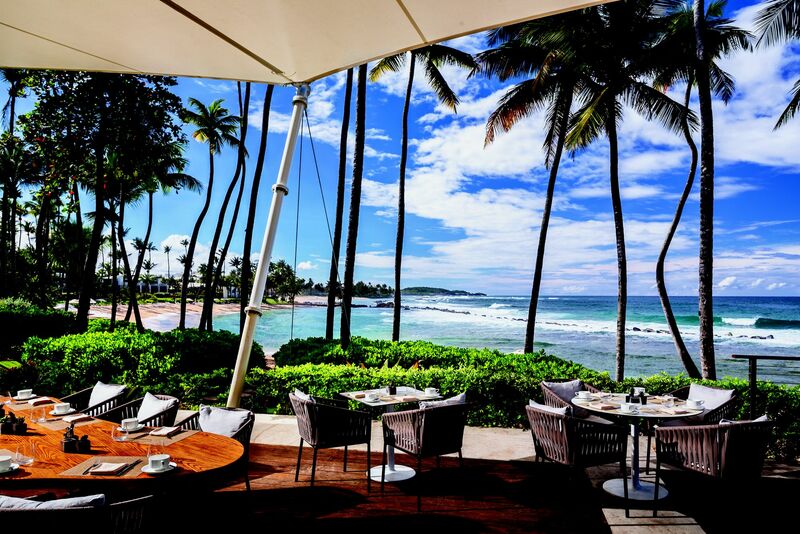 Enjoy tapas, sushi, al fresco lunches and refreshing drinks while you rest your feet in the golden Puerto Rican sand. A market providing Puerto Rican coffees, homemade gelatos and gastronomic delights. Guests are invited to enjoy exclusive culinary classes and wine theme dinners at La Cocina Gourmet Culinary Center. 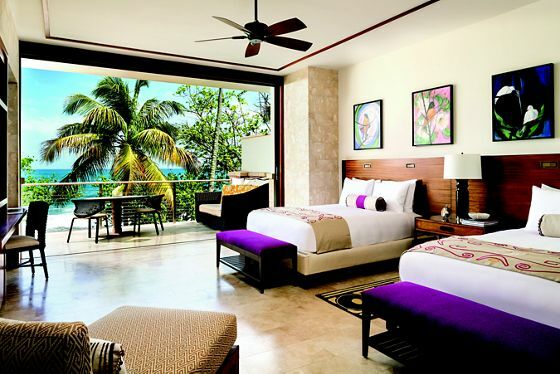 • For a private retreat on the beach, enjoy a half- or full-day cabana rental. 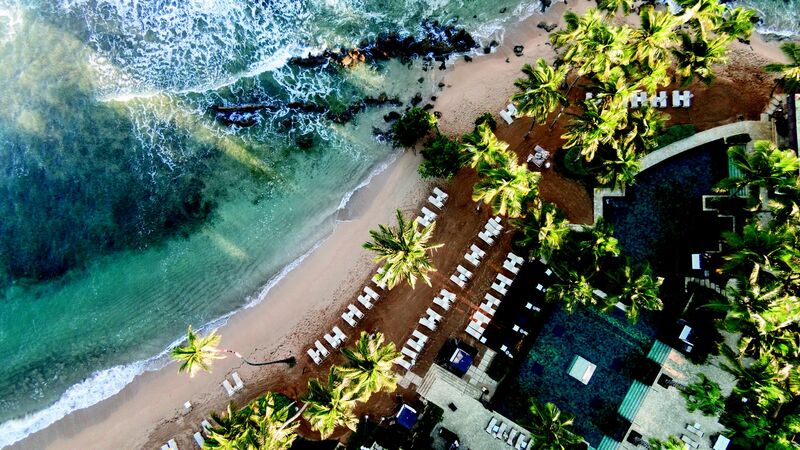 Dorado Beach, a Ritz-Carlton Reserve is conveniently located 35 minutes from San Juan’s main airport, Luis Muñoz Marín Airport, as well as 30 minutes from Isla Grande Airport. Pet policy: Pets 30 pounds or less are welcome in guestrooms and suites. Pets are not permitted in the Residences. Please note there is a one-time $250.00 pet cleaning fee which is assessed on each room that the pet accesses. Parking: Valet parking is complimentary for guests staying on property. 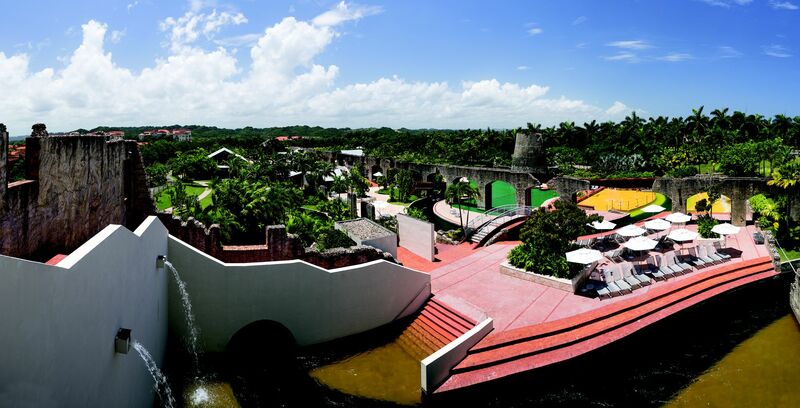 Visitors not staying on property are subject to a $28 USD valet fee. Ritz-Carlton Reserve hotels do not participate in The Ritz-Carlton Rewards or Marriott Rewards program; points cannot be earned or redeemed at this hotel.